Our high efficiency screening approach ensures the discovery of innovative small molecules, enzymes and other microbial products for the development of new therapeutic agents and industrial solutions. Our expertise in High Throughput Screening with Microbial Natural Products and synthetic compounds libraries includes automation, validation and execution of a wide-range of assays, from whole-cell to target-based assays. 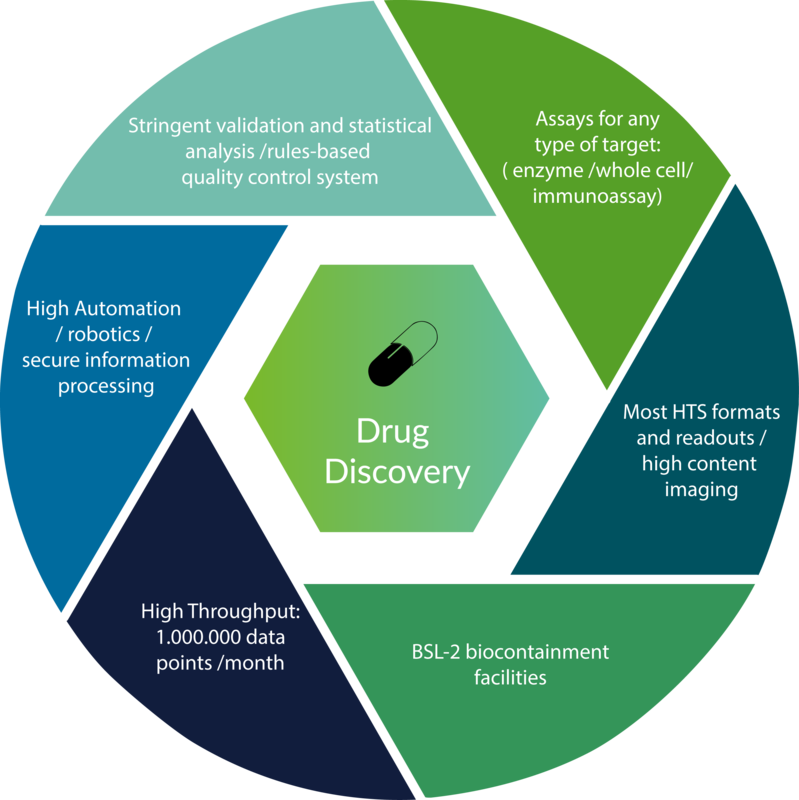 We have 2300 m² state of the art high throughput, highly automated laboratories, with a capacity of over 1 million data points per month, for cellular or target based bioassays designed to discover new active principles with almost any type of assay format and readout. We can screen our own Natural Product Libraries, any commercial compound Libraries and our partner's proprietary libraries.